Alaska Airlines has a special air fare deal on its new nonstop flights between Tucson and San Jose, now priced as low as $84 each way. Available seats at this price are limited but the calendar here shows the lowest fare by day. Fare is nonrefundable. Other restrictions apply. Purchase tickets by Thursday, January 4, to take advantage of this special fare. 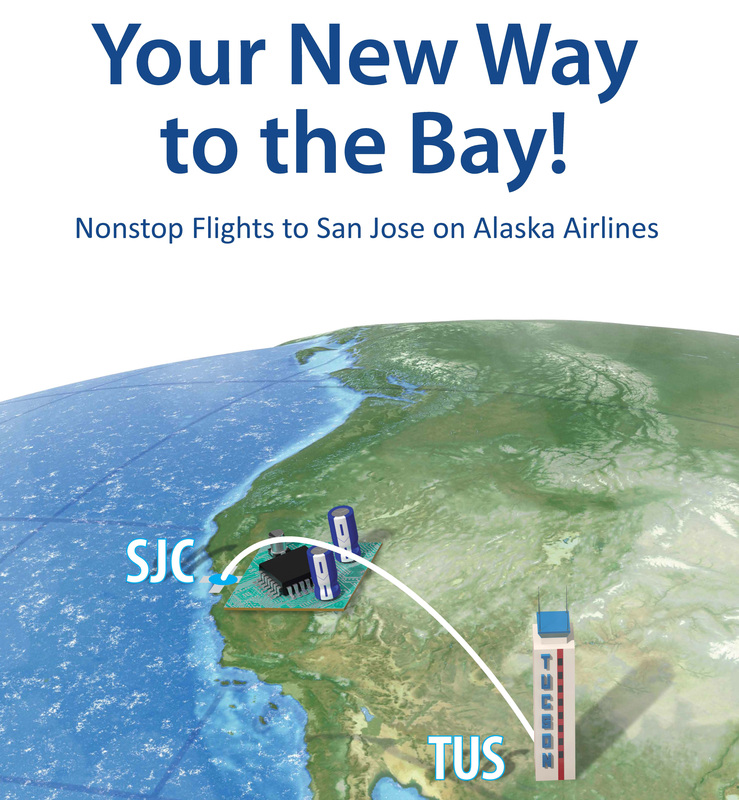 Alaska’s new San Jose flights are timed to allow southern Arizonans to maximize the use of their time in the Bay Area, with a morning departure from Tucson International Airport and evening return.